Try It: Push your ladder forward and turn to the right. You’ll see a triangle area that is formed by the support between the bottom rung and the leg of the ladder. 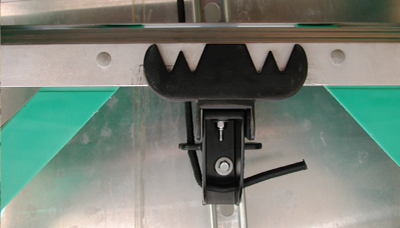 The notches in the catch of the JET RACK® system will bite and hold this area of the ladder. Stored this way alone, multiple JET RACK®s can be stored less than 12” apart. A standard cargo van can carry four or five A-frame ladders and still clear the floor by a couple of feet. This is a great option for painters who may carry several ladders, yet typically only need room enough below for tarps, tools, and paint. Ladder wobble? Check for alignment. When installed properly, your ladder should be held firmly in place. If there is any noticeable wobble while traveling you should check your fixed catch (the one that grabs the bottom rung) for alignment. This piece was designed with oversized mounting holes that will allow you to twist the catch to maintain perfect alignment. If aligned properly, the rung will be firmly set along the entire portion of the catch and prevent any excess wobble. 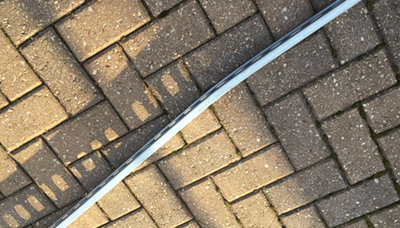 The strut shown in the picture above was bent by placing it on a 6″ tall plank of wood on the ground and simply stepping firmly on the strut until bent as desired. Note: This only works with a 7/8″-depth strut. Many vans, trailers, and truck caps have a bow or other irregular shape along the roofline. Fortunately, a 7/8” strut is flexible enough to be gently bent to accommodate this variation without affecting JET RACK® operation. We have tried many different lubricants on the strut and sliding mount and without question white lithium grease has proven to be the most effective and long lasting. Apply a generous amount to both the inside and outside of the strut and portions of the sliding mount that engage with the strut. This will ensure smooth operation for years to come. 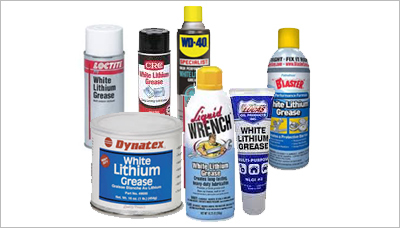 You can find white lithium grease at most hardware stores and auto parts supply stores. Most JET RACK®s are installed in locations that are subject to regular vibration and sometimes jarring shocks. Whenever threaded metal fastener(s) are used to attach your strut to other metal components, we recommend that you use a high-strength graded (usually RED) thread-locking compound to help protect your fasteners from corrosion and resist loosening. 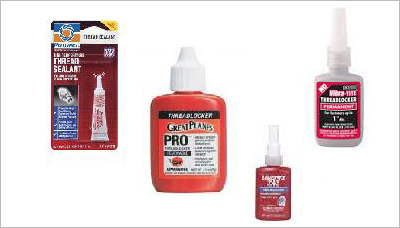 You can find thread locking compound at most hardware stores and auto parts supply locations. Though not required, the JRMP1420 it is highly recommended as the fastest – strongest – most versatile and dependable method to mount your JET Rack System * with confidence and ease the first time – and if you are installing multiple JET Racks – every time! Our Universal Mounting Plate can be formed to fit any suitable mounting surface found in any van, truck cap, trailer or storage space. Guaranteed! 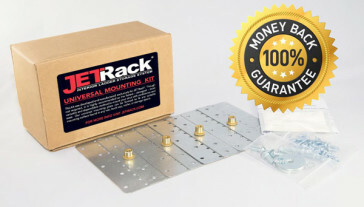 You can find JET RACK® Mounting kit instructions in PDF format using download button below. (sold separately) used in your JET Rack installation with the JRMP1420. For mounting your JET Rack system to the strut, see installation instructions here.